With the holiday season already here, I wanted to share Christmas songs with some of my favorite jazz musicians. I included links to NPR Jazz Profiles of the artists mentioned, so anyone can learn more about each musician. "The Christmas Song" has a lengthy history, with many great jazz singers performing the tune from Mel Torme to Nat King Cole. Listen to these NPR Jazz Profiles on Mel Torme and Nat King Cole to learn more about these great artists. "Jingle Bells" is a perennial favorite. The great Duke Ellington Orchestra performed this holiday song, adding instrumental solos for extra excitement. Learn more about Duke Ellington as a composer here. "Have Yourself a Merry Little Christmas" is a fun, swinging song. Ella Fitzgerald performed this song in her career, adding her signature bright sound. Learn more about Ella Fitzgerald here. "Christmas Time is Here" is a great reflective song. Tony Bennett performed this song with the Count Basie orchestra, bringing intense beauty to a standard. Learn about Tony Bennett here, and Count Basie here. "White Christmas" is a gorgeous, lush song. Louis Armstrong performed this song in his career, adding his gritty vocals. Learn more about Louis Armstrong here. 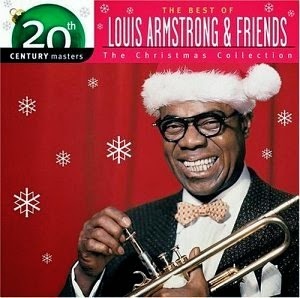 Christmas songs are a great way to start listening to jazz, since they are such a part of all of us. Yet, in this same way, you can start to learn a great deal of history by looking back at who performed each song, and listening to people like Nat King Cole and Duke Ellington's other music as well. As always, visit my jazz poetry blog, "Without a Poem", where I improvise a new poem everyday. I also recently added art, my sketch of the day, so stay updated! Share your favorite Christmas song with a jazz artist in the comments!